Sharing a cup of chai with a man who owns a thriving diamond business in Mumbai…a retired Air India employee…a portfolio manager…a contractual manufacturer…and a young female trader. They're all members of what I call, "The Bombay Investing Society". And guided thousands of members towards a better financial future. Yes! It's not the kind of 'society' that holds weekly meetings. In fact, members in this 'society' could potentially multiply their wealth with its guidance regardless of whether or not they stay in Mumbai. You see, there's a good reason why this "society" was launched many years ago. The thing is, many amateur investors aren't able to generate as much wealth as they hope to in the stock markets. They generally make a few investments, turn a small profit here and there if they are lucky, but never benefit as much as they really could. As per one study by Quantitative Analysis of Investor Behaviour (QAIB)…. The average investor in a blend of equities and fixed-income mutual funds has garnered only a 2.6% net annualized rate of return for the 10-year time period ending December 31, 2013. And this falls even lower over a longer period of time. Yes! The 20-year annualized return comes in at 2.5%, while the 30-year annualized rate is just 1.9%. In other words, had someone started out with an investment of Rs 10,000 30 years ago, and followed conventional investing wisdom, they'd be sitting on a pathetic profit of just Rs 7,588… and when adjusted for inflation, they'd have actually LOST money over that period. Why does this happen? Where are these people going wrong? You see, most people in the stock markets follow friends' advice or tips from brokers to make their investments. They simply keep investing in the next 'Hot Stock', hoping to make a quick buck. But if just investing in 'hot stocks' was all it took to get rich in the stock market, then everyone would be wealthy. Take Bharti Airtel for example. When this mammoth company went ahead and listed its shares on the stock market in 2002, everyone from the talking heads on TV to the financial "gurus" expected it to perform exceptionally. And the company point to point has made shareholders almost nothing for the last 10 years. Maybe you were one of the many people who got burnt by investing in hot stocks, I don't know.. But the good thing is that this is just one side of the story. You see, the Bombay Investing Society was created as an alternative source of research and information for those who were serious about taking control of their financial future. Members of The Bombay Investing Society have had the chance at some spectacular returns… like 575% in a little under 5 years, and even 1,821% in 6 years and a few months. Over the last 16 years, it has a success rate of 74.4% on all its closed positions. Which means, out of 10 stocks recommended by The Bombay Investing Society, more than 7 hit their targets. And just 3 such stock recommendations could have enabled one to make a Rs 600,500 fortune over a period a period of time. Rs 10,000 into Rs 67,500 in JUST 5 years! Investing Rs 10,000 in Bajaj Auto in 2008 (when members of the Bombay Investing Society came across this opportunity) could have given Rs 67,500 in 2013. Almost 6x of what was invested, in a little under 5 years! And this was while many investors saw their money go nowhere over the exact same period. That's 1,821% or 18x your initial investment in 6 years and 7 months! I believe you're starting to see how profitable these stocks could potentially be. In short, the opportunities shared amongst the members of The Bombay Investing Society have the potential to take anyone towards a financially secure future much faster. That's 3,309% or more than 33x of the initial investment a little under 8 years! In total, that's 3 simple moves into 3 stocks.... And a Rs 600,500 windfall! This is the potential of the investment Secret used by the Bombay Investing Society. Now, normally it's virtually impossible to get your hands on such exclusive research. And many Portfolio Management Firms generally end up turning your financial future into a business by charging you certain percentages of your investable assets. Now that's where this particular investing society stands out. This society doesn't stand to make a single rupee even if you invest in the stocks it recommends. And today, you can join too, and start your journey towards a financially secure future. The Bombay Investing Society is open to anyone who wants to put all their financial worries to rest. It accepts members from all across the globe and has had tens of thousands of members since its inception. In a short while, I will show you how easy it is to join these people. I am Rahul Goel, CEO of Equitymaster. Right in the centre of India's financial heart. When I started at Equitymaster in 1996, we were the only financial website in all of India. There were only 10,000 internet users in the entire country. And today, Equitymaster has 1,764,790 readers from 72 countries. That's exactly why readers from all over the globe trust us! I have been with Equitymaster for nearly 20 years - happy to have made a lot of money - Really investor friendly and independent analysis. Compliments to Research team. So, I gave one of my research analysts, the permission to go ahead and create The Bombay Investing Society to fill the void. If you are expecting the brains behind this secret investing society to be a hotshot pinstripe suited Dalal Street investor, then you're in for a shock. The person behind all the massive gains you read about, is someone you would come across in a book store, buying Roald Dahl books for her daughter. And that someone is Tanushree Banerjee, research analyst and the co-head of our research team. Ever since she was a young woman, Tanushree has been fascinated with why some businesses succeed, and others fail. 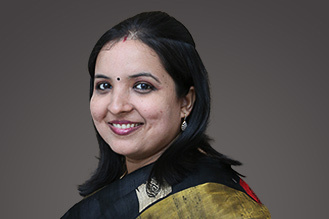 A firm believer in the investment philosophies of Warren Buffett and Benjamin Graham, the investing greats, Tanushree joined Equitymaster right after completing her MBA in Finance from SIES Mumbai in 2004. Systems that recommend the kind of stocks that one could possibly 'bet their retirement on'. But why did I decide to tell you about the Bombay Investing Society NOW? And becoming a member of her investing society is one of the proven ways to ride the growth wave all the way to a financially secure future! So, what is it about Tanushree that she demands the attention of so many people,? This stock picking strategy has the potential to guide you create so much wealth for yourself…and your children…and your grandchildren…possibly your great grandchildren as well! First, Tanushree starts with what are considered the biggest stocks on the market. These companies are called 'blue chips'. But, she doesn't like taking chances by recommending just any blue chip that's "hot" at that point in time. No! She puts every potential investment through her own, stringent safety test. After this, she's left with a handful of companies that seem like a safe bet. Tanushree calls them "Safe Stocks". How are they different from regular blue chips? Safe Stocks are all well-established companies with stable earnings and a long track record. But of course, finding Safe Stocks is only the first step. The same strategy that is behind all the massive gains you just saw. When a company catches Tansuhree's eye, she first assesses it's ability to increase its revenue by introducing new products, and by growing its customer base and market share. She then analyses how and where the companyuses the returns it makes; companies that reinvest profits to grow their business further, could hold the potential to turn into a 10 bagger! Managements of 'well performing companies' often end up playing it safe and either mindlessly imitating what everyone in the industry is doing, or replaying its past processes or both. But that is what holds these 'well performing companies' back from becoming 10 baggers. Companies that can resist such behaviour and do things differently can create and preserve long term wealth. One of a company's biggest virtues is the brand's ability to command prices at will ie not dictated by the market. Companies with formidable pricing power meet Tanushree's 4th and final criterion. The second part comes into play. There's a strong belief that blue chips are virtually immune to any and all kinds of problems. But that's not always the case! The truth is that even large cap stocks go through hardships from time to time. And the truth is, this is great news! Because that means, people like the members of the Bombay Investing Society have the chance to buy some of India's best companies at a huge discount. In short, Tanushree is a bargain hunter. When the bad news passes, or the company re-discovers its course…the company's shares begin to climb back to where they fell from…and much farther beyond. That's why, grabbing good safe blue chips for cheap, makes doubling or tripling money within a few years all the more easier. Like I said, joining the Bombay Investing Society is easy. But there will always be a certain degree of risk involved with investing in something as volatile as the stock market. Which is why, only people who are very serious about growing their wealth and taking their charge of their financial future…and are comfortable with a certain degree of risk…should consider joining. You see the thread that binds all the members together is Tanushree's financial research service called StockSelect. We have seen MORE than 7out of 10 StockSelect recommendation hit their targets. I have been using Equitymaster for more than 10 years and I believe they are an excellent source of clear information needed to invest savings safely in this time of high inflation. As they have repeatedly said investing is an art takes a lot of passion to get it right while maintaining a dispassionate view on the investments. They have superb research which is not always correct in their forecast but provide the data that helps individuals make decisions. I believe Equitymaster has not yet reached its true worth in the marketplace. I like your analysis, guidance and suggestions which you provide on a very regular basis. Subscription to your services is worth much more and if someone follows the advice, he/she is sure to create wealth. All the analyses are backed up with intensive studies. Great Job!" Tanushree will inform her subscribers about any stock that catches her eye and passes all five parameters of her proven stock selection process. In some situations, the markets move quickly, and bump up the stock price sooner than even Tanushree expected. And within just 4 and a half months, it was up by 118%! They could have turned it into Rs 21,800 in LESS than 5 months. If one would have invested in The India Hotels, he could have generated 79% returns in a little over 8 months. One could have turned Rs 10,000 into Rs 17,900 within 8 months. Anyone could see gains like this possibly secure all their financial dreams with StockSelect. All you have to do is subscribe to StockSelect and read Tanushree's research, which is extremely easy to follow, then decide for yourself if you want to follow her recommendation or not! I am a subscriber of StockSelect - premium paid service. I find the research reports very extensive and helpful in analyzing my investment decisions in equitymarket. The reports are well presented and easy to understand. I thank, Equity master team in giving the best efforts in finding the right picture of the company by researching it thoroughly! Thanks Equitymaster for their best efforts in guiding me to make my investment decisions!" StockSelect is a good service… I have had a good experience with few stocks I invested in, such as Ambuja cement, Tata Chemicals, Hindalco, Voltas and many more. Although some of the stocks didn't meet the expectation, but that's how stock market works. To sum it up, I am a happy with all the services Equitymaster provides, including their oldest service Stock Select which was launched in 2002. Like I mentioned before, over the last 16 years, more than 7out of 10 of our safe blue chip recommendations made under StockSelect have generated solid returns. But there are still 3 stocks out of every 10 that do not perform as expected. Now, there's no doubt that we recommend a stock only when it meets all the required parameters. But sometimes… despite having all those valid reasons for recommending the stocks… there might be a few losses. *Prices adjusted for bonus and stock splits. So, what I want to say is, despite making all the efforts to be as accurate as possible, there will always be factors that we can't control. But as you know, all the recommendations are based on Tanushree's stock selection system and have an accuracy rate of 74.4% for all the closed positions between 2002-2017. That's a phenomenal win rate. Which means that in a year, you will get 12 opportunities to turn your financial dreams into reality! Each of these recommendations will be thoroughly checked against her fool proof stock recommendation system that has been perfected over the last 15 years. So, this enables you to acquire those large cap stocks for cheap, and potentially grow your wealth in just a few years. But, Tanushree does not believe in recommending a stock and then just forgetting about it. This report will cover all the stocks which we have recommended under StockSelect but haven't reached their target yet… i.e. Stocks we have an Open Position in. Tanushree does not believe in recommending a stock and then just forgetting about it. Every recommendation made under StockSelect is tracked continuously till Tanushree thinks it's time to sell and take profits. If there is anything crucial about the stock that the you need to know, Tanushree will send out Special Alerts directly to your inbox. Any time, any day, you can log onto the website… read every report, every newsletter issue, review all the recommendations , or report a concern about your membership.. The recent drop in the stock markets have given rise to rumors of an upcoming market crash. But while everyone else is being fearful, we at Equitymaster see it as an opportunity. Well, Market corrections like this one, give you a great opportunity to accumulate high-quality stocks at sensible prices. And after thorough evaluation and research, Tanushree has narrowed it down to 5 Safe Stocks that you could consider buying right away to cushion your fall in the upcoming market crash. But once you subscribe to StockSelect today…You will get it for absolutely FREE! This is our online e-learning course on Value Investing. Reveals some of the biggest investing secrets we learnt in our entire journey in an easy-to-view audio-video recording format. This course is written completely by our own research team and will be available to you 24X7 on our website. In fact, you can even download all the lectures and excel models to analyse businesses yourself…and more importantly you'll also have an opportunity to interact with other students on a dedicated discussion forum. Is your portfolio construction ideal? Stocks nearing their 52-week high/low. All these reports are available online 24X7, at the click of a button. It gives you a roundup of our best research published during the week, in just one concise email. We believe that an informed investor always manages to grow his wealth better than an uninformed investor. That's why we are using the Private Briefing as a medium to educate you, our subscribers, on what's happening in the broader markets and other assets like gold, commodities, etc. too. This helps you fine-tune your strategy in line with the economic climate at that time. Then if we've met any companies lately, or if there's some interesting discussion going on within our research team with regard to some company, we also tell you about it in the Private Briefing. The Equitymaster Yearbook offers accurate, unbiased and detailed data on leading companies, sectors and economy… all in one place! You can use this information to conduct an in-depth analysis of a company, find information on historical trends, or anything else you want. When you become a member of StockSelect you will be among the first to receive the Yearbook every year. And while the Yearbook costs Rs 750 per year normally, you get it for FREE in a PDF format. That's gifts worth Rs 66,080—yours for FREE when you join Stock Select today! For the Cost Of A Family Dinner! These days, that's how much a family dinner would cost! It is peanuts compared to the value your financial dreams hold. FINALLY taking that dream vacation you kept putting off—I'm sure Rs 6,000 is nothing in front of this. She insisted on giving readers like you a special discount of MORE than 50%! You get to enjoy this discount of MORE than 50% for as long as you wish to stay subscribed to StockSelect! You don't have to worry renewing your subscription and potentially missing out on a moneymaking recommendation. We will automatically charge your credit card with Rs 2,950 every year. And if you choose not to stay subscribed to StockSelect, just let us know and we will not charge you for the next year. It doesn't get any better than this. You have total control and total peace of mind. With Our 30-Day, FULL Refund Policy! Because your financial independence is so important to us, we want to give you a strong reason to put all your hesitations aside and sign up now. So, this invitation comes with a 30-day, 100% refund policy. Right to the last rupee… No questions asked! And you can keep everything you download during these 30 days, as a Thank You Gift from our end, for trying our service. This is one of the most lucrative opportunities we have! And with the 50% discount that you get for life, the benefits could keep coming year-after-after. Then let me quickly recap this invitation, and then I'll tell you how to join StockSelect. For Just Rs 2,950 Per Year! Access to some of our BEST ideas as per the current market conditions. Just to reiterate…as soon as you become a member of the StockSelect, you will get immediate access to all our Blue Chip research. This invitation is valid ONLY if you subscribe right away. So, this is your chance to lock in your financial freedom and make all your dreams come true… that too at a dramatically reduced price compared to what others pay! Such a low price won't be available once you exit this page.